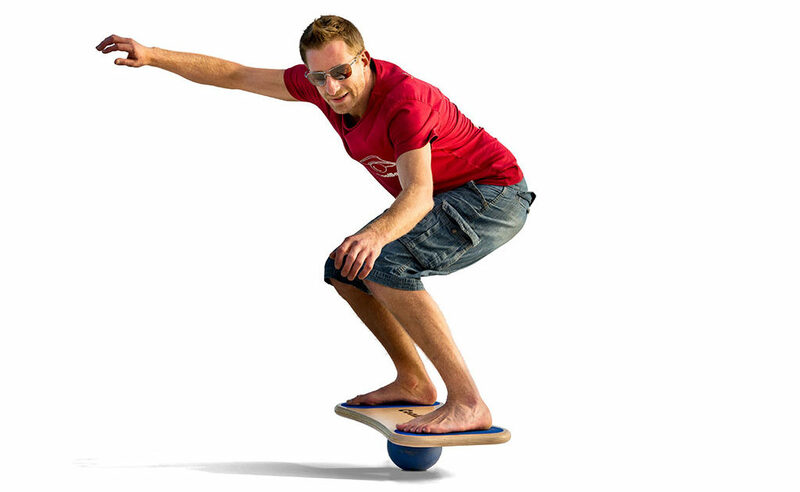 We have been designing, testing, using and making CoolBoard since 2006. We have patented it worldwide. We continue to develop new products, exercises and workouts to help our customers. This is often inspired by CoolBoard users finding new uses for it. We are always available and happy to help all of our customers. All our wood is sustainably sourced. If we can’t reuse, recycle. Whenever possible keep it local. Only use the van if a bike won’t do. Constantly re-evaluate processes and materials to be more environmentally conscious. …there was a rubbish ‘surfer’ called Nic. He started well, getting up on his first wave after a little tutoring from his lovely friend Laura. Trouble was, once on the board, he had ‘legs like a drunk Bambi’ (his own words), years of bodyboarding hadn’t helped. Nic realised that he wasn’t bad at foot to foot balance, it was toe to heal control that totally eluded him, or in fact, control in any direction other than a simple foot to foot. Being a practical fellow Nic thought that there must be a better way, so he got on it. The premise was simple, if you can balance on a roller, surely you can balance on a ball. The answer is a resounding YES, but it took Nic a while to get his balance to the point of knowing. During this time, Nic developed the board, trying to suss out what made it work, and what didn’t. After several months, and a growing pile of bad balls and boards, the idea was taking shape. At this point a couple of Nic’s friends, Ian and Mary, said that they wanted one, and they’d pay for it! Well that was it… CoolBoard was born… Nic realised he’d created something great… A patent was sorted… and thanks to the lovely folk at Geronimo Nic went to do his first show at the Rat Race in Bristol all those moons ago… and everyone there loved CoolBoard, so here we are – so thanks y’all! Started in 2006 by Nic Smith, CoolBoard is steadily growing into a vibrant, exciting, whilst somehow still chilled company. Nic had invented a ‘toy’ many thought was plain silly the year before – more on that here, and he continues to do everything in a slightly funny way that seems to make too much sense for many to be comfortable with. This is the charm of Nic, and he has it intrinsically running through CoolBoard. So, we mostly ride bikes (ha ha Bristol traffic), like reusing more than recycling, hate waste, love to play, have toys to use and dreams to follow… and the dream we’re following now is to prove that business can be nice and friendly and fun, while getting the world hooked on CoolBoard balance board. No CoolBoard balance board isn’t the be all and end all, but it’s our baby, and now our job, and we know you’ll like it. I am creative, scientific, left-handed and dyslexic. This blend has always led to solving problems with highly functional and stylish solutions. My formal training was in aeronautical engineering. However, an office and computer was not my idea of how I wanted to use my skills. So I become a cabinet maker. Each project needing new solutions to everyday problems – and I actually got to create and finish my own ideas. This give me a satisfying outlet for my skills, while learning new ones, and having a workshop means I can readily realise other ideas I have had, the CoolBoard being one. Since the early days of tinkering in my garden shed, CoolBoard balance board has come a long way. Racking up successes as we progress, this shiny new website for example! With our plans for the future and some hard work we won the prestigious theBizIdea competition run by the University of the West of England in April, 2007, proving CoolBoard balance board is so much more than a simple but genius toy. This stepped the whole operation up a couple of gears, we moved into new offices on the harbourside in the WaterShed Cafe/Bar/Cinema/Office space, and into our new workshop, all mega exciting. 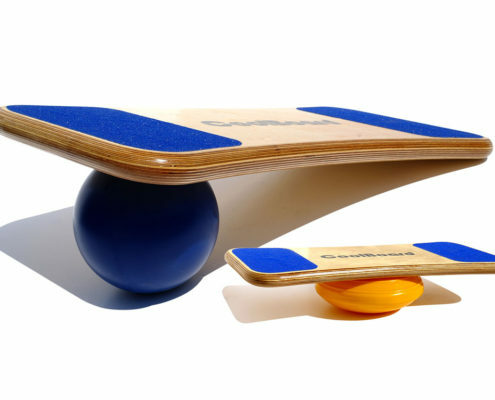 In October 2007, Nic entered his plans for CoolBoard balance board into Knowledge West’s Competition. The KW Comp is the ‘grand final’ of the South Wests’ universities’ competitions. Taking the winners of the five local university competitions and putting them head to head. Although we didn’t win, we came away with the runner-up prize, and managed to leave the presentation having sold a CoolBoard balance board to each and every member of the panel – unheard of in Competitions!